Vimby have put up a video of Wolfman "aka Tim Harvey", check it out! Also BMXFactor have an Aaron Ross bike check and mini interview up. His bike is erm... How can it be put. BRIGHT! Ha. 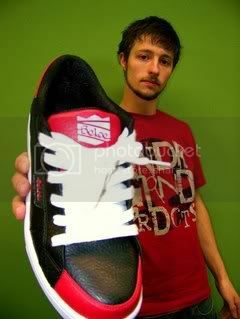 And finally, freecoaster genius Karl Poynter is on Beloe Footwear. Don't ask me who they are, I don't either!